You’ve heard the word “staging,” right? If you haven’t, the simple explanation is that it’s the process of getting your home ready to sell, by cleaning out excess items and doing other simple tasks to clean it up (not quite the same as the repainting or yard work we discussed previously). If you’re doing it while you’re living in the home, it’s tricky; it is, however, doable. And it helps your home sell, because it allows prospective buyers to more easily see themselves in that space. Clean out furniture. 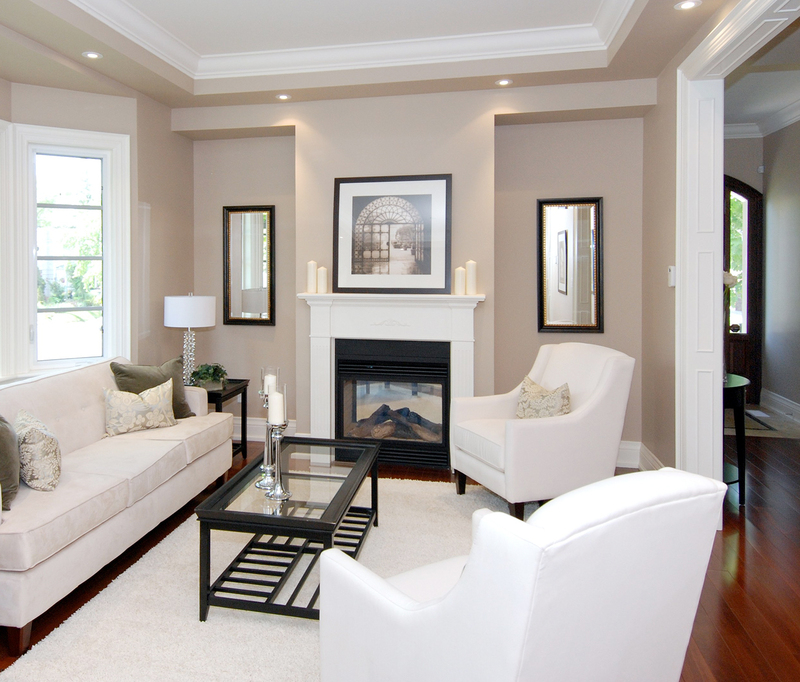 Home staging companies often take out half of your furniture. This adds more visible space to your rooms. Pick up—and store, if possible—as many of your kids’ toys as you can. Other things to clear include books, DVDs and CDs. Paint walls white. As mentioned before, at the very least, touch up paint jobs so everything is clean looking, but if you can paint, you want walls as neutral as possible. Move furniture away from walls and into functional groupings. There’s a theory that groupings of furniture against walls make the room look bigger, but that’s actually not true. Do up the bathroom. It may feel weird to you (but on the other hand, you might decide you like it! ), put hand towels in a pretty basket, and make sure hanging towels match. Put trash under a counter, or at least put it in hiding when you’re expecting visitors. Make bedroom spaces—especially the master—extra inviting. Make sure—as in the bathroom—everything complements each other.